Springfield Platteview Community Schools is all about the process of teaching and learning. We recognize the importance of providing our teachers with the appropriate tools to engage and maximize the level of learning achieved by our students. Through curriculum, instruction, and assessment, we ensure every student has the opportunity to learn in the best environment possible. To learn more about the content, skills, and topics taught in each core content area at each grade level, please explore the information provided here. The single most powerful influence on student achievement that is within control of the educational system is the classroom teacher. Due to these findings, SPCS understands the need to find ways to strengthen and support strong pedagogy within the system. What do effective teachers do? To help clarify the answer to this question, the district has developed an instructional framework based upon the work of educational researchers/consultants Robert Marzano, Jay McTighe, Grant Wiggins and John Hattie. This framework outlines elements of instruction, based upon best practices, that will more likely ensure learning. By using the framework, teachers are asked to address questions that will help them: clearly define learning goals (Stage I), align goals with high quality assessments (Stage II), and design learning experiences more purposefully in order to reach those learning goals (Stage III). 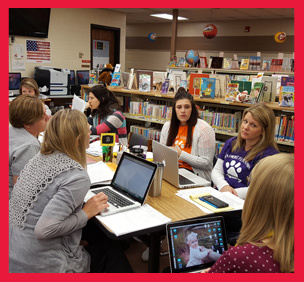 To support the development of teachers, the district has developed a professional development plan aligned to the practices outlined in the instructional framework. NWEA's MAP Growth: K–10. Administered three times per year in the fall, winter, and spring (winter is optional) to monitor progress. We assess K-10 in reading, language, and math, and grades 7–10 in science.